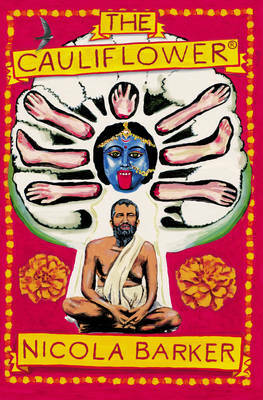 To the world he is Sri Ramakrishna - godly avatar, esteemed spiritual master, beloved guru. To Rani Rashmoni, he is the Brahmin fated to defy tradition. But to Hriday, his nephew and long-time caretaker, he is just Uncle - maddening, bewildering Uncle, prone to entering trances at the most inconvenient of times, known to form dangerous acts of self-effacement, who must be vigilantly safeguarded not only against jealous enemies but also against that most treasured yet insidious of sulphur-rich vegetables: the cauliflower. Rather than puzzling the shards of history and legend together, Barker shatters the mirror again and rearranges the pieces. The result is a biographical novel viewed through a kaleidoscope. Dazzlingly inventive and brilliantly comic, irreverent and mischievous, the Cauliflower (registered) delivers us into the divine playfulness of "one of the most exhilarating, audacious, and...ballsy writers of her generation". (Observer). Thanks so much to William Heinemann for making proofs of this novel available to booksellers.